Electronics and extreme temperatures aren’t friends. And that frigid relationship between the two includes electric vehicles and their battery packs. A new study from AAA found that in 20-degree Fahrenheit temperatures electric vehicles could lose as must as 41 percent of their range. High temperatures also caused a loss in range. At 95 degrees, EVs experienced a 17 percent loss. However, much of that loss is attributable to the use of the HVAC system. AAA’s study found that if drivers don’t mind freezing or sweating, the loss of range is smaller. In 95-degree temperatures, EVs not using the HVAC system to cool the interior saw the range decreased by just four percent. In 20-degree temperatures, the loss of range is just 12 percent so long as the HVAC system isn’t in use. That would decrease the range of the Chevrolet Bolt EV, which has a standard range of 238 miles to 209 miles. AAA conducted its research with the Automotive Club of Southern California’s Automotive Research Center, making it one of the more mythologically sound studies. The vehicles included in the study—2018 BMW i3s, 2018 Chevrolet Bolt EV, 2018 Nissan Leaf, 2017 Tesla Model S 75D, and 2017 Volkswagen e-Golf—were tested in ARC’s climate controlled test sells using chassis dynamometer and data logging equipment. The AAA gives consumers real-world numbers on how extreme temperatures affect an electric vehicle’s range. Earlier reports have been inconclusive as to how much temperatures can affect range. In late 2016, the Detroit Free Press saw a modest 16 percent decrease in range on the Chevrolet Bolt EV during a polar vortex—blisteringly cold temperatures that as recently as last month caused General Motors and others to suspend operations due to natural gas demand. A news story from 2017 reported an even more drastic loss of range—64 percent in sub-zero temperatures. Very good job by AAA to do some meaningful research and give us some numbers. I always figured battery life limitations in notable cold or hot weather, greatly shortens the miles you can get from a charge. In addition, along with these hotter or colder temperatures, you have to add using A/C or heat, to further impact distance. The good news is that electric vehicles and battery life continue to improve, however, this study should confirm that for now, electric vehicles for all applications do have miles per charge limitations, under many common circumstances. We also need to understand and remember that ICE vehicles also suffer from the same thing, albeit not in as much of a drop in efficiency. Also, the vehicles tested are Chevrolet’s, Audi’s e-tron, and others. Tesla’s vehicles only lose an average of 21% of charge during said temperatures. Sure, BEV technology could use some advancing in terms of variable environmental factors affecting efficiency, but it’s laughable this blog posts this. Oh, look, it is our triggered SJW sore loser troll “Zach” spoutin’ his electric propaganda. “Well they have problems too!” Sean, how freaking old are you? Didn’t you ever learn that two wrongs don’t make a right? Tesla’s failures and GM not selling as many electrics as it thought it would (and not actually making many electric models at all) says a lot. Oh, and Toyota is investing heavily in fuel cell development when it has been successful with hybrids might tell you electric has severe limitations. More reason Miss Mary Barra’s boneheaded all-electric comments, are well, boneheaded. Are you on crack, Zach? Or is it just the triggered SJW left-wing fundamentalist in you? 21% is HUGE and means it could be a lot more loss…”average” number from a bias manufacturer study. Trusting Tesla stats is like trusting the faie news media…you don’t! Electrics will be part of a broader portfolio that will include fuel cells, hybrids and GASOLINE vehicles for a variety of applications for quite some time (decades). It’s not true either. Tesla’s lose 41% too. Just go read their forums. Electric vehicles with batteries that are not properly insulated will experience issues as this is why some Teslas have caught on fire. Anyone with a comment on how Ram’s interior is so much better? Poor fake “Zach” left the room in a hurry, didn’t he? Must have not been safe enough for him with all those pesky facts being bantered around. This story is for all the folks that missed science class. Heat and cold can really effect batteries. At least if you have Gasoline and it gets a little worse mpg you can fix it in 5 min. All the more reason we are not read for all Electric vehicles only. The volt could and should have been applied across the entire lineup of GM vehicles. To me the best way to go should be a mixture of ICE, Volt drivetrain and all Electric. VCAT: Yes; the Volt/Voltec Technology was GM’s ace in the hole in the EV market, but apparently Mary is going to throw it away? I hope not. Got a real fix… you know the answer KEEP THE CHEVY VOLT THE UNIVERSAL EV in production advertise it, sell it when it cold the Volt will tell you it switching to gas and continue to improve the battery. I understand this makes sense so no can do. Rather build Cadilac’s that get 24 to 34 miles a gallon. I’m sticking with my 139 MPG 2016 Chevy Volt. It’s called the Trump Effect. These gas hogs won’t have any resale value. You need help. Common sense goes a long way. I did like the Volt. The design and quality was superior in all respects. It was a rock solid build. I’m thinking it must have been a combination of customers moving toward more crossovers, and development costs exceeding profit potential. I still believe that hybrids can boost power and conserve fuel very efficiently. It will be interesting to see if GM really has given up on hybrids, while other brands continue to embrace it. Engineering suggests common sense first. EV vehicles CAN NOT be sold by your conventional dealership. Because of the old men, owns these dealerships won’t buy them or promote them. Why? They don’t break, do not need the serving and not necessary to buy maintenance contracts. So I wonder why GM did not upstart EV dealerships now they have 2 nice models, The proven Volt and the wonderful Bolt offset it with the Curse the only gas option that I think would draw the new customer you are after. Why not… Certify your factory employees, on performance, communications, and other needed requirements. If the union say no, they will adjust too. It can be done. Gil Wall: Excellent suggestion, though I’m not sure that you can blame the lackluster dealer support on the age of the dealers. More likely it was lack of support from GM/Chevrolet/Cadillac headquarters who did not think it fit into their long term business plans and therefore made no attempt to market or advertise it. And it was not just sales price margin; there was plenty of available profit margin on the Cadillac ELR at the overinflated price it was offered at, but even I, who had an active interest in PHEVs, didn’t hear of it until well after it was discontinued. Here in Green Valley AZ and back in Denver I often ask owners of hybrids how they like their car and how is the MPG. 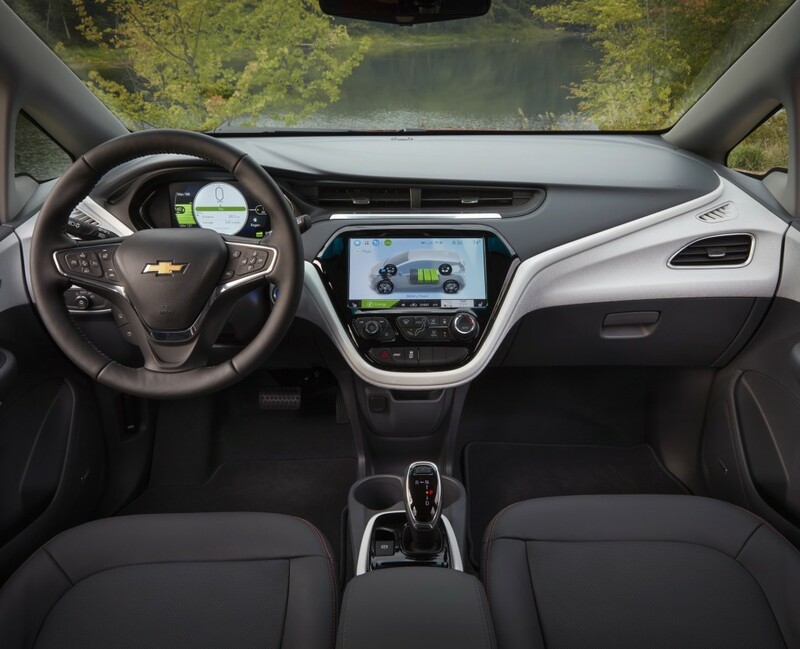 43 – 59 the liked the Volt? Well, I ask, “Why did you not buy one?” the answer is ALWAYS the dealership, 1 no knowledge base, rude salesperson, and no inventory. GM did you ever think this out? Gil Wall: Again I have to agree with you in general; we had to do an internet search to find a dealer who had a Volt on the lot (Not in the Showroom?). This turned out to be the premiere Chevrolet/Cadillac dealer in our area. They were willing to let me buy one of the two 2018 Volts on the lot. I thought their somewhat laid back attitude a little odd at the time, but they made me a good deal and so far their customer sales and service has been top-notch. They specialize in Cadillacs and especially Corvettes and have a huge inventory of those cars, so one would not describe the owners as “old men”. I just think they knew at the time that the Volt’s days were numbered, and with no sales and marketing support from GM headquarters, they didn’t see any reason to push their sales. I did check the dealer website after the 2019 Volts came out to perhaps see the new model, but they didn’t even list the Volt as a car that they carried; I guess they just gave up on the Volt; one cannot blame them, given GM’s attitude towards the car. Funny thing. Whenever I need to go somewhere, no matter where, how far or what the outside temperature is I just get in the Volt and go. Not concerned with battery but I do put in some gas now and then. Recently got back from a trip to Ontario from Virginia. No sweat. Funny thing. I wish there were a Volt version of the Honda CRV. Would probably get one. I’m getting more convinced that all EV developments by GM and other high end auto manufactures are doing it for bragging rights so they can call themselves high tech. Elon Musk really put the shame the big old industry on what can be done but the Tesla customers are more nich buyers than the everyday customer. The Volt had two problems, 1) the vehicle is just too damn small. Ask any dealer or car salesman they would want nothing better than a Volt system in an Equinox. No range anxiety. 2) Probably too expensive to build and no profits, therefore, GM is dropping the entire line. It is made so we’ll that probably it could not be reengineered to reduce cost. I can almost guarantee that engineering probably looked into it. It’s what engineers love to do. Since most engineering by GM is done in MI they know what cold weather is. It’s another during the summer all along the Gulf Coast. They all should spend one summer with there EV’s. For one, eleminating all black interiors would sure help on the cooling demand but may help with MI winters. I’ve said it before on other post, put the Volt power plant in the Colorado PU and I would be first in line, but all electric, no way. George S: Good post. For me, the size of the Volt works well. But I entirely agree with you that GM should have offered it in alternate platforms. I read somewhere that the Voltec technology, even as currently exists, is capable of 25% more power output than currently needed by the Volt. So it could have easily been extended to many other vehicles. You hit the nail on the head, it’s too expensive and low profit, but not because of the engineering, which can only be described as elegant. I say this as an former engineer myself. The profit problem with the Voltec technology is that, as you noted, they did not offer it in enough and varied platforms, nor did they do any creditable marketing of it, nor did they do any effective advertising. Therefore, they never achieved the sales and production levels that would have led to economies of scale, which in turn could have paid for some real Value Engineering (not cost cutting), thus further reducing cost. Problem is, GM is no longer good at that type of engineering because they are no longer run by engineers, no mater what Mary might claim to be, but by bean counters. It has been that way for a long time. They are developing electrics because they are scared carpless that California will outlaw ICE, and then more and more states will too. It has nothing to do with reality, or making money, and everything to do with and overbearing government that wants to run our lives. I own both a Bolt EV and a Volt. I live in Canada (in a fairly small town) and experience some pretty cold and rough weather at times. After owning our Bolt EV through two winters I can now safely say that the Volt is no longer needed. Does the Bolt EV experience a range drop in the winter. Yes of course it does. Though keep in mind gas vehicles also experience a 15 to 20% range drop as well. For daily needs the Bolt EV have far and away more range than most people need even in the dead of winter. And if the weather is really bad your not doing a road trip. When I get in my Volt I get “gas anxiety”. I’m often do things less than ideal to squeeze out every inch of EV range. But in our Bolt EV I freely blast the heat because for 99.9% of our uses it has plenty of range (and I drive well above the annual average for drivers). Of note in our Bolt EV we really only see a 40+% range hit if we are doing a lot of short trips. If we are planning a longer trip in cold weather we will remote start the car while plugged in and even in 0F weather typically only see about a 25 to 30% range drop. As for the refuelling argument. There are soon to be released vehicles with 800V battery packs that can utilise 350KW DC fast chargers (many of which are now installed) that will charge a battery from 10% to 80% in 15 mins. The Lame excuses people are making for not going electric are getting thinner by the day. Thank you for your real world user experience. Neromanceres: Gas anxiety? Really? When the gas only range of the Volt, not counting the battery range, is longer than the electric range of the Bolt? I’m sure, even in Canada, there are plenty of gas stations around. I have nothing against the Bolt; if it fits your needs, love it and keep it. But please don’t discourage prospective Voltec customers from considering all potential shortcomings of BEVs in their real everyday lives. I would tell them “buyer beware”; and consider all your needs and research the currently available solutions. As far as these rumored 350kW “Super Charger” stations go, for now I view them to be like unicorns; if I see one or even see a detailed technical description of how they work, what they will cost, and why they can safely allow everyday consumers to handle such power levels, then I will believe.